I'm finally back at work after a long recovery from a fall. I had a brain injury and was in the hospital for a month and then home for three more months. I am still having problems remembering things, I have frequent headaches, and I get tired very easily. My doctors have told me that I need to take frequent breaks when I'm working. Luckily, I have a desk job, so I thought that wouldn't be a problem. But when I asked my supervisor to adjust my schedule, she told me I either need to do the work like everyone else or look for another job. Is there anything I can do? If you are not already aware of it, educate yourself about the Americans with Disability Act, which was passed by Congress and signed into law in 1990. It is designed to protect people with disabilities from discrimination. The Act is frequently referred to as the ADA. Although the ADA does not specifically mention traumatic brain injury, brain injuries may fit the general definition of disability under the Act. A person is said to have a disability if he or she has a physical or mental impairment that substantially limits one or more major life activities. If a person meets the definition of disability then an employer is required to provide the individual with reasonable accommodations to perform his or her job. However, the law does not specifically define the accommodations that must be provided. Each person’s disability is different and each individual requires different accommodations. When considering what is reasonable, the law also considers costs to the employer. If a person requests reasonable accommodations in order to perform the essential functions of his or her job, then the employer is required by law to provide these accommodations to the person requesting them. People with traumatic brain injury frequently experience difficulties when they return to work. Since each brain injury is different, the limitations faced by each person are unique and there is no one easy solution for all employees or employers. Each person needs something different. What disabilities does the person with TBI have? How do these disabilities or limitations affect their ability to perform their job? Are there reasonable accommodations available to the employer to reduce or eliminate these limitations? Can the person still perform the essential functions of the job if reasonable accommodations are provided? Has the employee with TBI been consulted by his or her employer about making these accommodations? This list is not meant to be exhaustive, but merely intended as examples of some of the issues that may entitle you to reasonable accommodations. An employer may be required to reproduce information in large print to make it easier to read. Sometimes, reducing the amount of overhead lighting and changing the location of the work area so that there is more natural light and less artificial light are reasonable accommodations for those suffering from bright-light sensitivity. Providing tape recorders and allowing the employee to tape meetings is sometimes sufficient to overcome memory deficits. If the employee has trouble remembering verbal instructions, these instructions can be put in writing for the employee to keep and use. Additional training as well as encouraging employees to make lists are also effective workplace accommodations for people with memory issues following TBI. So is providing a Smartphone or PDA (personal digital assistant). Employees experiencing TBI-related cognitive fatigue may be entitled to frequent breaks, an area to lie down and rest for a period of time during work, and an adjustment in their work hours or schedules to accommodate this disability. Many difficulties in concentration can be accommodated by reducing the level of distraction that a worker has to deal with. This can be accomplished by providing the employee with a quiet space to work. Proper organization of material and the work space itself may also be helpful Assignments can be divided into smaller tasks and jobs can be restructured for the employee. There are many organizational aides that can be adapted for the worker including special to do lists and step-by-step written cues for accomplishing a task. Special calendars, periodic reminders from a supervisor, and scheduled time working with a co-employee are often successful strategies to overcome these deficits. The above types of disabilities and the accommodations that may be available are just examples. Since each disability is different, the accommodations may vary as well. In looking at the accommodations that an employer is asked to make, the question becomes “Is the requested accommodation reasonable?” This involves issues of cost, how the accommodation will impact production and co-workers, and the effectiveness of the accommodation in helping the individual perform his or her work. In determining workplace disability and reasonable accommodations, it is best to work with a trained professional such as a vocational rehabilitation specialist who will understand the nature and extent of the disability and the available means to accommodate it. If all else fails and an individual feels that reasonable accommodations have not been provided by an employer then that individual should seek legal protection without delay. There are attorneys who specialize in representing victims of employment discrimination in the workplace. You can also file your own complaint with your state’s equal rights employment division or human rights office and with the United States Equal Employment Opportunity Commission. Posted on BrainLine April 2, 2009. Reviewed March 20, 2018. 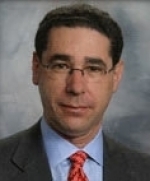 Read more about Michael Kaplen, Esq.